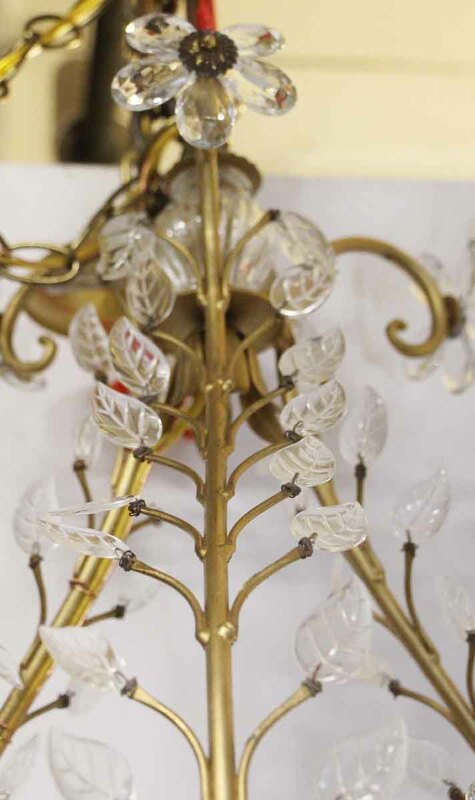 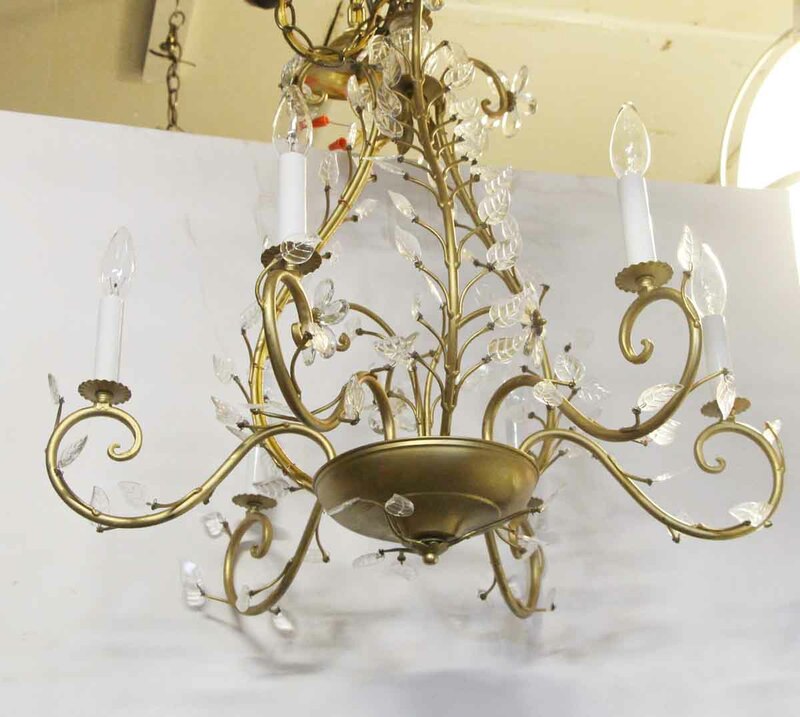 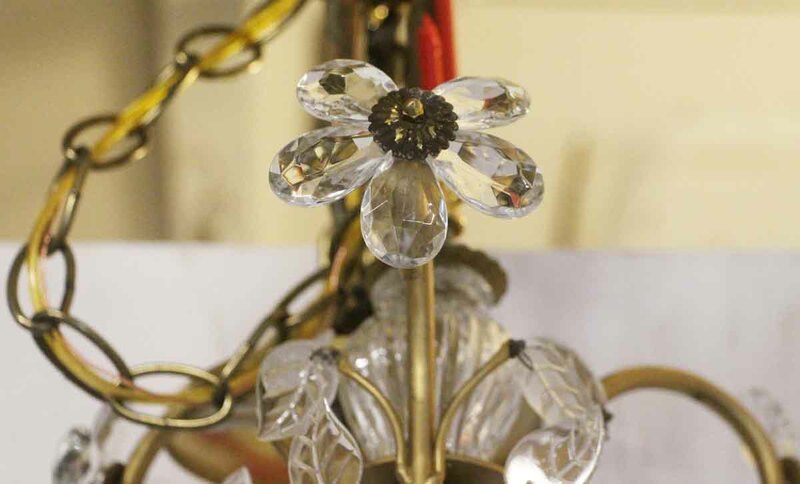 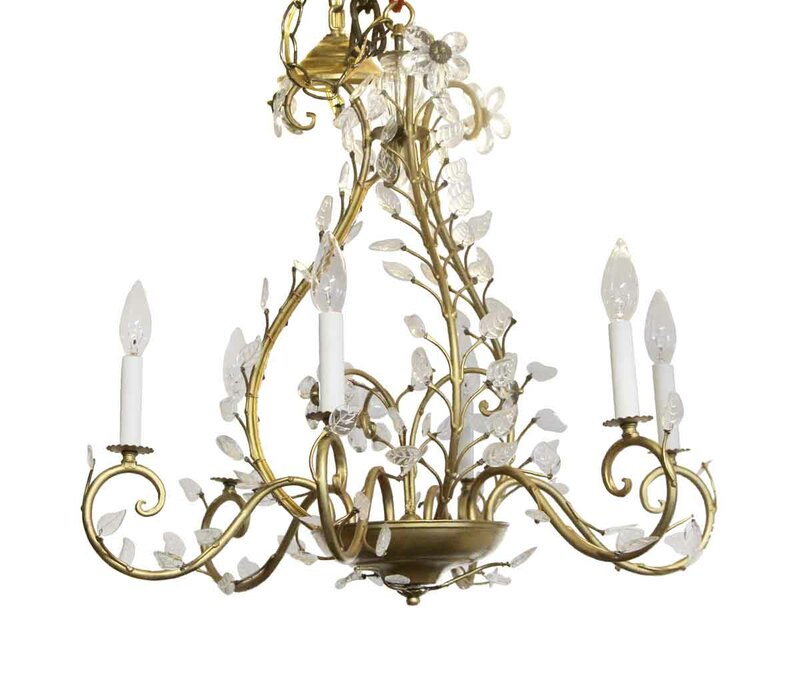 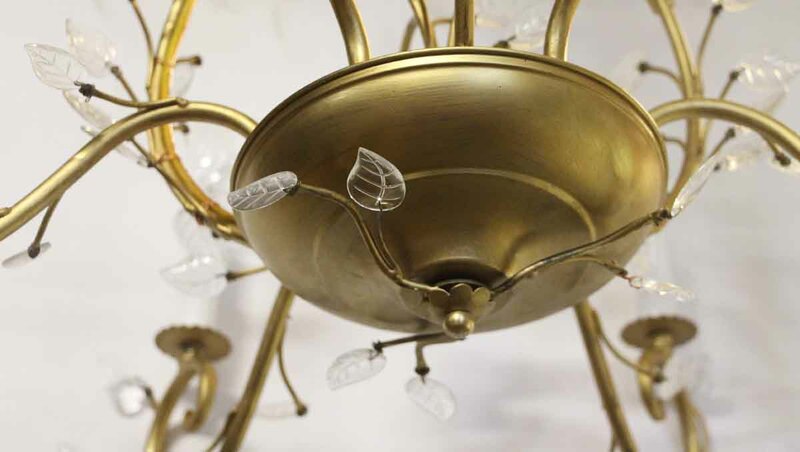 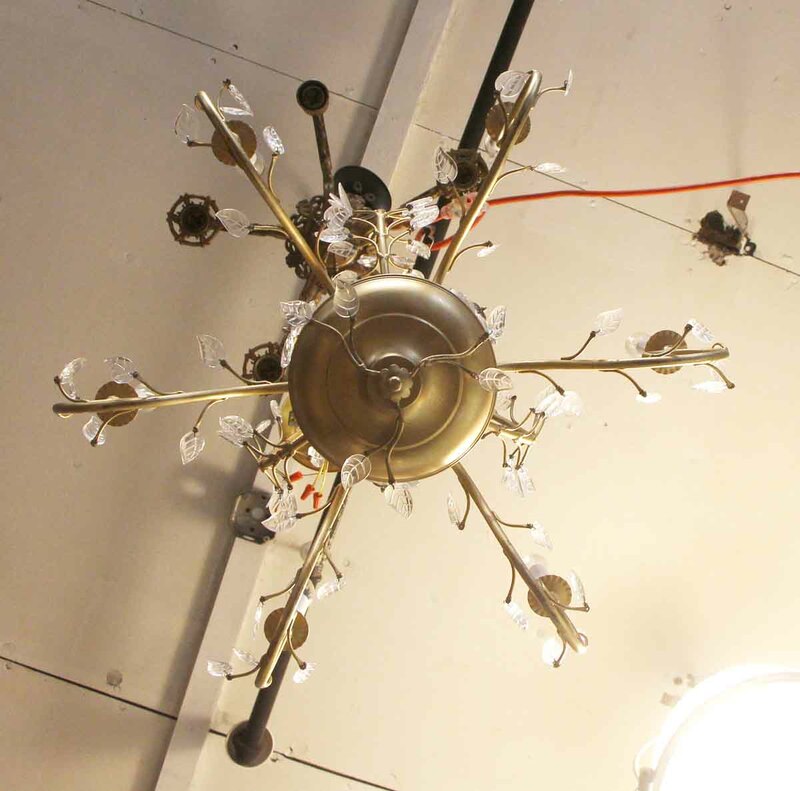 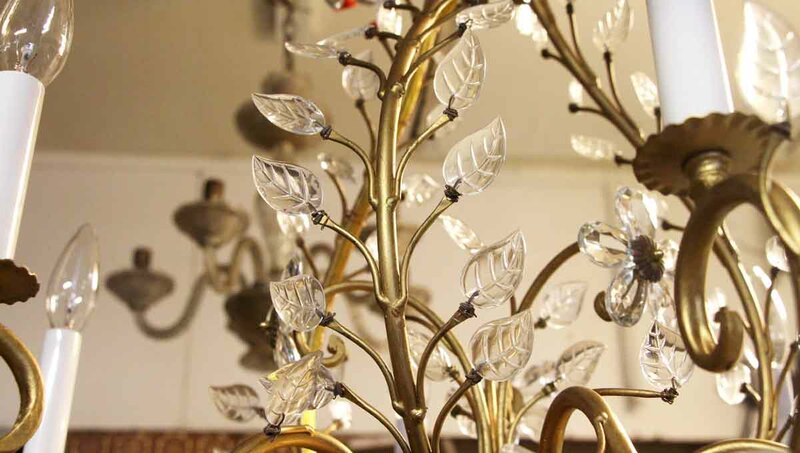 Branchetti Bagues wrought iron 6 light chandelier adorned with crystal leaves. 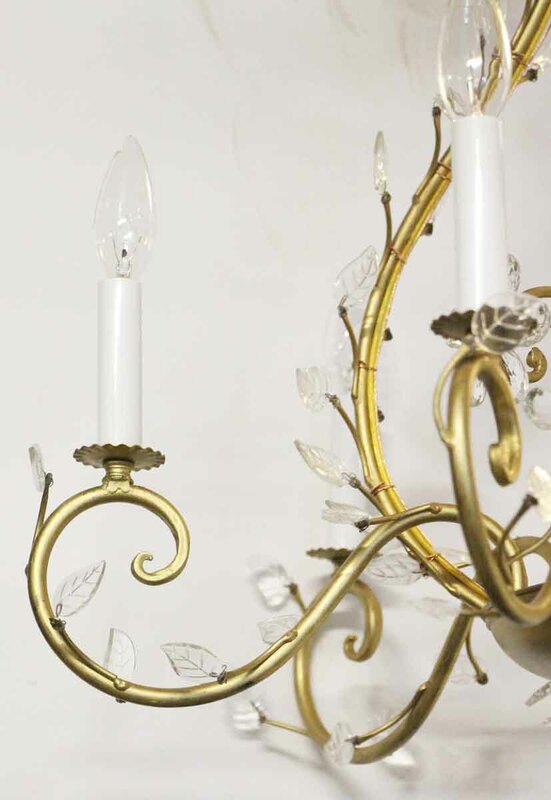 The wrought iron frame is done in a gold leaf finish. 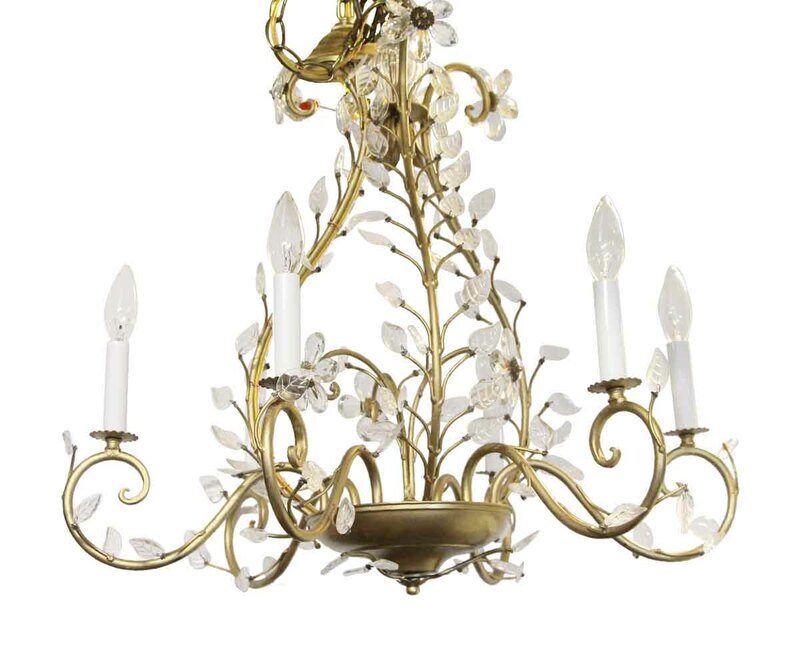 This uses six 60 W candelabra bulbs.